A nominal width is a width which is somewhat less than the stated width. For example, a 2" X 12" board with a 0.75" nominal width has an actual width of 11.25". 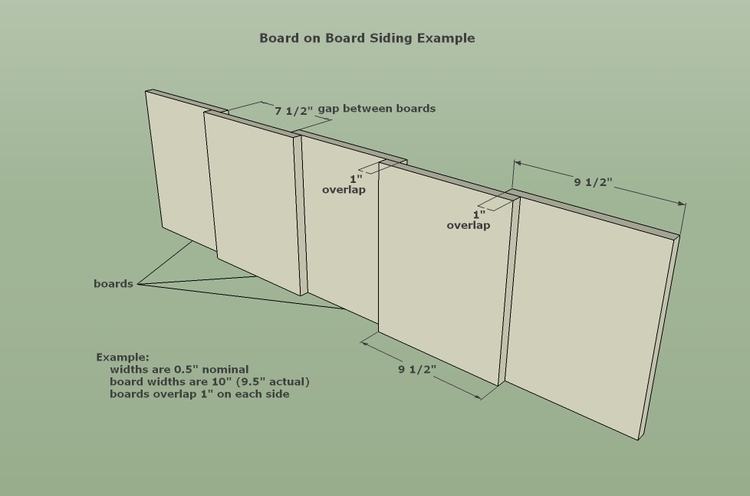 Lumber and timber/beam dimensions (width and height/thickness) are most commonly nominal unless specifically noted as being full dimension or "net". Many Trestlewood products are targeted at 0.5" nominal for stated dimensions of under 6" and 0.75" nominal for stated dimensions of 6" and above. Reclaimed wood dimensions generally vary somewhat from piece to piece -> The amount by which the width of a list of material is nominal is best thought of as an average. Trestlewood makes no representations or warranties whatsoever relative to the accuracy of this calculator (or any of its other calculators) and accepts no liability or responsibility for results obtained from same. Any user of this or any other Trestlewood calculator takes full responsibility for independently verifying the accuracy of calculator results and their applicability to their specific situation.